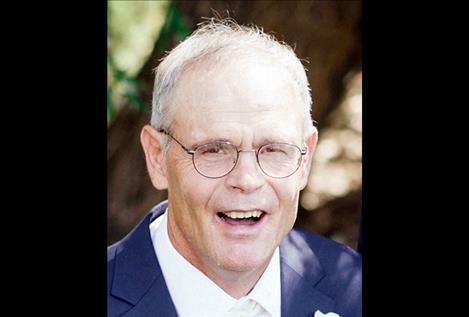 CHARLO — Frank Rollins, 61, went to be with the Lord at his home on Aug. 18, 2018, ending his battle with Parkinson’s disease. Frank was born Feb. 18, 1957, to Francis and Mildred Rollins in St. Ignatius. He was raised and attended school in St. Ignatius. After high school, Frank attended the University of Montana in Missoula where he lettered in wrestling and met his wife-to-be, Kay Blumer. On June 21, 1980, Frank married Kay in Hayden Lake, Idaho. Frank took up his father-in-law’s profession as a journeyman plumber. In 1993 Frank and Kay moved back to St. Ignatius with their daughter, Kelsey, and son, Brandon, to run Frank’s grandma’s farm, which they called home. Frank continued as a plumber and running the farm. In 2003 Frank was diagnosed with Parkinson’s and was no longer able to work, however, that didn’t keep him at home - he was often seen at local high school functions participating in cake raffles and supporting the athletes. Frank loved the outdoors, hunting, shooting, socializing, playing cribbage and anything huckleberry. Frank was preceded in death by his parents, Francis and Millie; daughter, Kelsey; mother-in-law and father-in-law, Jean and Clayton Blumer; brother-in-law, Rick Blumer; and niece, Tiffany Riendel. Frank is survived by his wife of 38 years, Kay Rollins; son and daughter-inlaw, Brandon and Erin; son-in-law, Jake Hanson; sister and brother-in-law, Rose and Keith Blevins; sister-in-law Linda Blumer; nieces and nephews, Houston Blevins, Danny Blevins, Dawn Blevins, Matt and Tammy Young, Mark and Sheila Young, and Chad and Bobbie Blumer. Memorial Services will be held on Saturday, Aug. 25, at 2 p.m. at the St. Ignatius Elementary School. In lieu of flowers, donations may be made to Pinehaven Christian Children’s Ranch in St. Ignatius.